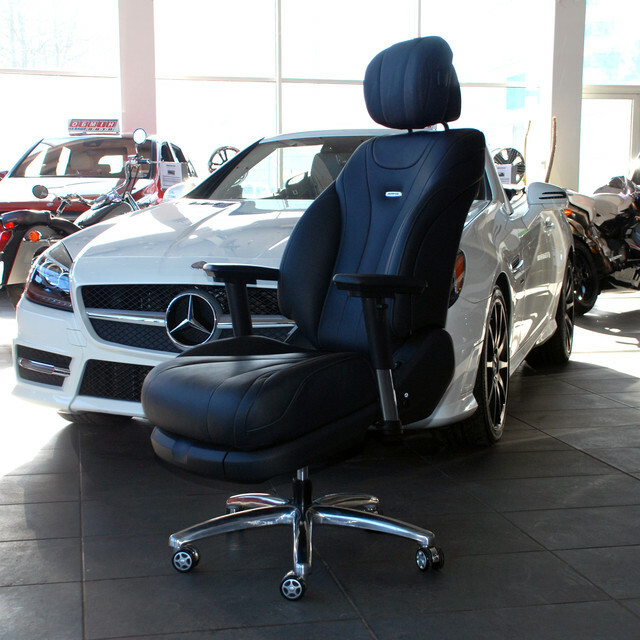 A beautiful, very comfortable, large, soft office chair from the original Mercedes S63 W222 AMG seat. New seat, original leather. Power adjustment backrest, headrest. Compression of the head restraint. Ventilation and heating. Built-in battery and charger included. Office accessories Recaro. Armrests 3D are trimmed with leather. The mechanism of tilt with the fixation of position. Gas lift with a load of up to 180 kg / 400 pounds. One-piece aluminum base. Steep wheels. Very high quality assembly. Warranty 1 year.